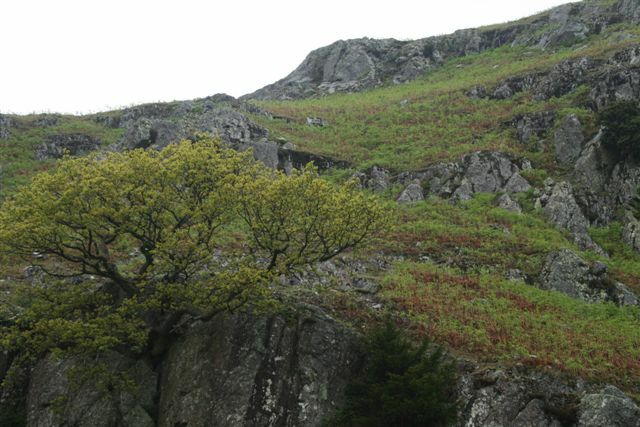 Despite Helm Crag Walk being of low height (approx 1,328ft) it sits prominently at the end of a ridge, easily seen from the village of Grasmere. This combined with the distinctive summit rocks at the south east end of the summit ridge, which provide the alternative name, ‘The Lion and the Lamb’ makes it one of the most recognised hills in the area, with the term Helm meaning ‘cloud capped hill’. 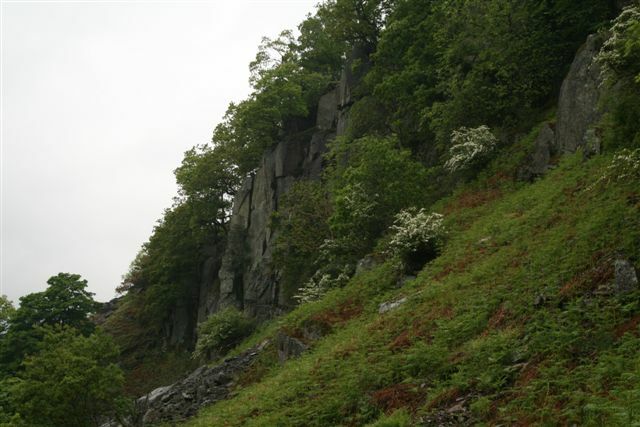 Alfred Wainwright wrote of Helms Crag walk that “The virtues of Helm Crag have not been lauded enough. 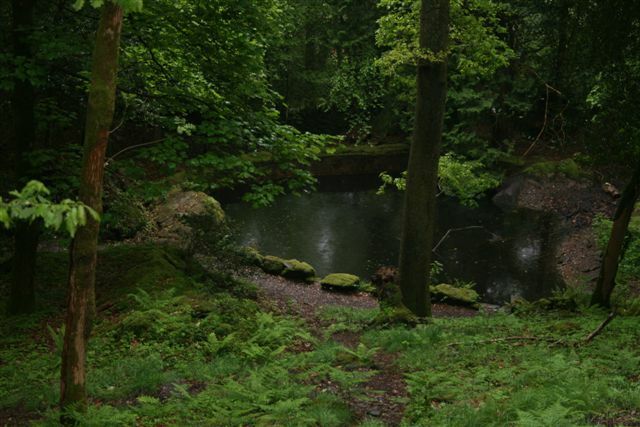 It gives an exhilarating little climb, a brief essay in real mountaineering, and, in a region where all is beautiful, it makes a notable contribution to the charms and attractions of Grasmere”. This is the only Wainwright that the man himself never summited due to the tricky nature of this final rocky climb. 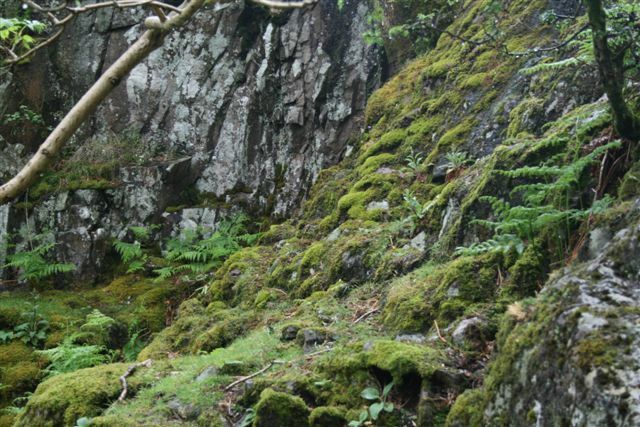 Helm Crag walk offers a varied array of Lakeland scenery, with wooded glades, spring blue bells, rocky out crops and open fells covered with ferns dependent on time of year. 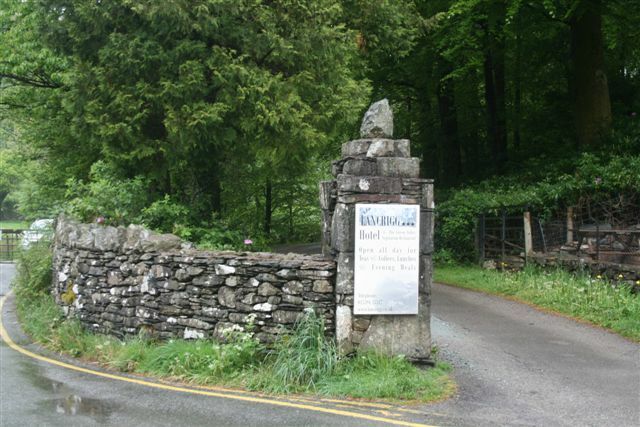 Starting from Easedale Road within the village of Grasmere, follow the road whilst crossing over Easedale Beck. Pass the road sign posted Youth Hostel on your right and continue upon the road until the road turns sharply to the right. I should point out that at this point there are 2 possible routes you may take, whilst this particular walk will follow the Lancrigg route as opposed to the Far Easdale and Helm Crag walk footpath. Having rounded the sharp bend coming into view you should see a footbridge on your left which would take you to Easdale Tarn. 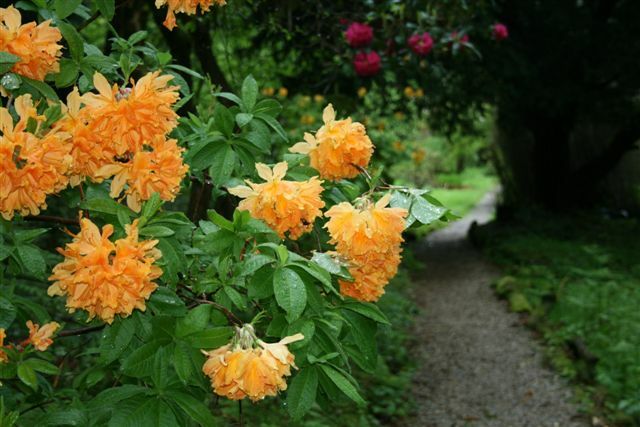 Continue on the road keeping to your right until the road divides, taking the Lancrigg road, where it is possible to enjoy refreshments, such as teas, coffees and light lunches at Lancrigg Vegetarian Country House Hotel. 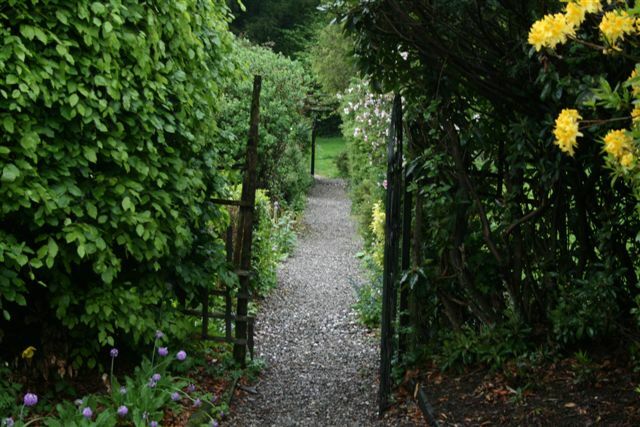 Taking the track to the front of the house you will pass through 2 gates and into a wooded area where the path is clearly marked. 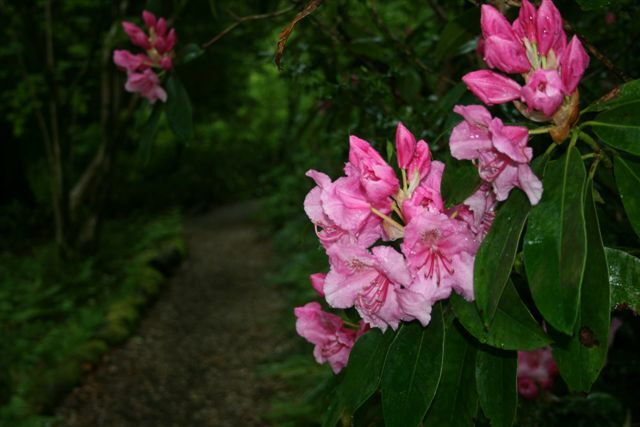 Keeping to the path follow this as it meanders through the wood and gently climbs upwards and through the woods. The track will traverse the farm fields with a dry stone wall to your left, whilst you walk upon level ground before passing through a gate. 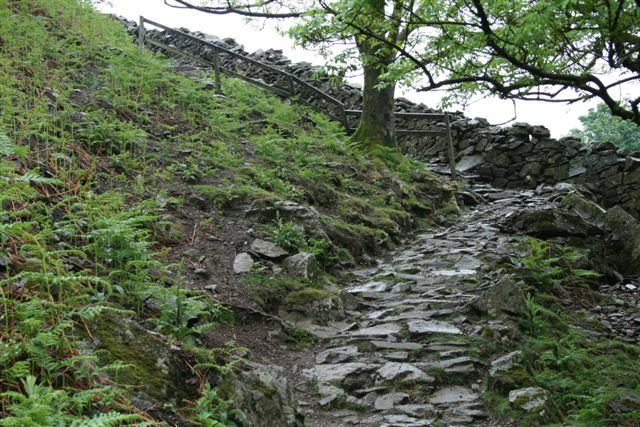 The height of Helm Crag walk will now become apparent as it rises to your right, with a steep climb to come. 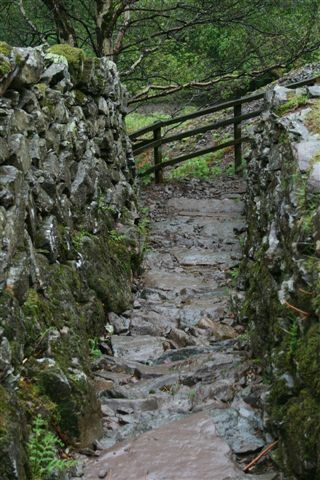 You will arrive at what I can only explain with similarities to a stone staircase, although this staircase rises considerable higher and when wet can be slippery. On reaching the top turn left following the track which is clearly visible and this will take you to the summit. On reaching the summit this is an ideal stop for refreshments, although it can be windy and you will be rewarded with stunning views of Grasmere below and the main road between Keswick and Grasmere but a threaded black line in the valley bottom. Follow the ridge from Helm Crag walk as it gently swings around to descend towards Far Easdale where you simply follow the track downwards, although in places it is not so visible. 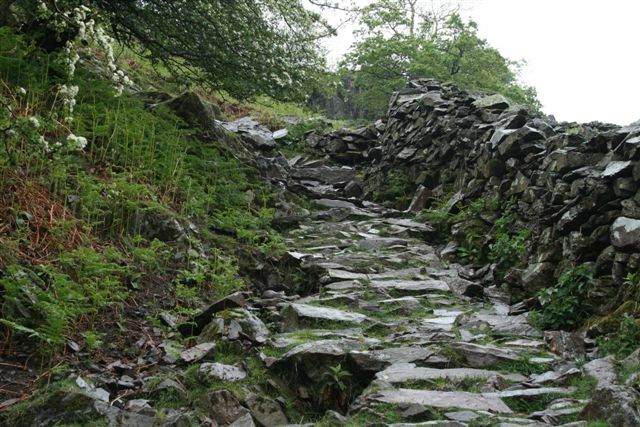 Having descended you will join the footpath from Far Easdale and turning left follow this footpath down Far Easedale Gill which will bring you back to Easedale House and the road back to Grasmere. 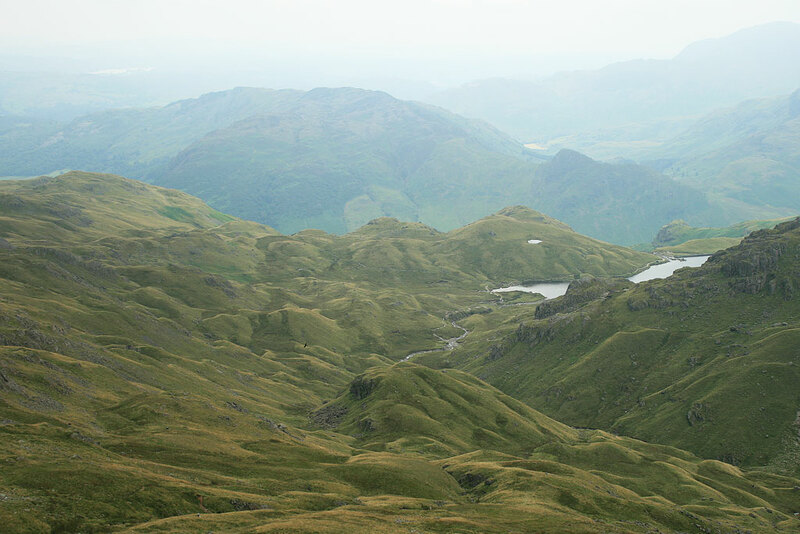 It is possible when you join Far Easdale Gill footpath to turn right and continue over to Easdale Tarn should you desire to extend your walk, weather and time permitting. Please note that our walk description of Great How, like any outdoor activity can be extremely dangerous and can result in permanent disability or even loss of life. Participants should be aware and except these risks whilst being responsible for their own safety. Always seek advice and information before embarking on any outdoor activity. 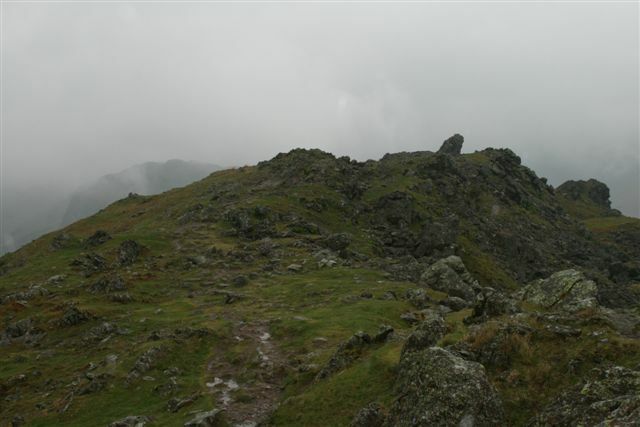 Should you wish to see better quality photographs of this Helm Crag walk please visit Helm Crag on our Lake District Walks Flickr account. 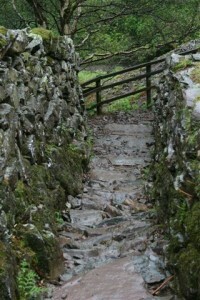 Please feel free to comment below on Helm Crag walk, share or even hit the Face Book like button. 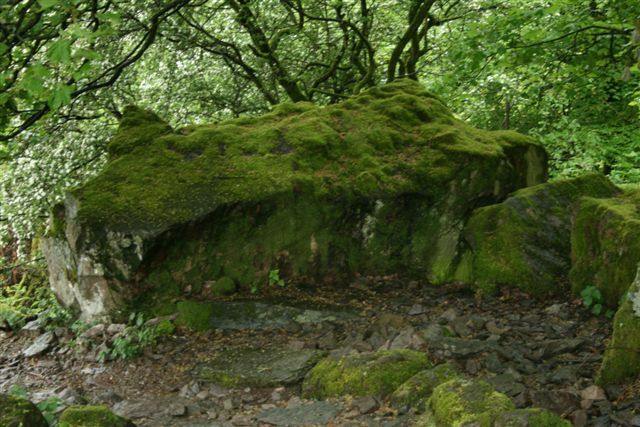 I trust you enjoyed Helm Crag walk and found it helpful.